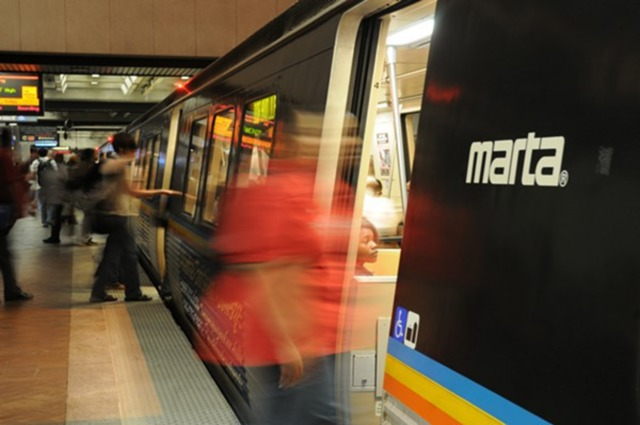 Atlanta's not the only city looking for transit funding this fall. "More than a dozen cities around the country, including Los Angeles, Oakland and Seattle, are seeking similar ballot measures. Taken together, the initiatives would fund $200 billion worth of transit projects, if passed." An "unprecedented" situation according to Richard White, president and CEO of the American Public Transportation Association (APTA). As we close in on election day 2016, CNN headed over to Killer Mike's Graffiti's Swag Shop for a pundit-free roundtable on the presidential race, namely the recent revelation the Hillary Clinton has pneumonia. Barbershop patrons including a firefighter, a Trump supporter, and grassroots activists, among others, participated. The campaign around Gov. Nathan Deal's school takeover initiative got a little more intense this week with the recruitment of Democratic Senator Freddie Powell Sims for a seven-figure TV ad. "Deal’s plan would give the state the power to take control of persistently failing schools through a new Opportunity School District if approved by voters in November, and Deal has staked his second-term education agenda on winning its passage. It faces staunch opposition from leading Democrats and educators groups who say it would give control of local schools to an aloof entity that is not accountable to voters." Local arts patron Elkin Goddard Alston has gifted the Museum of Contemporary Art of Georgia with $1 Million.